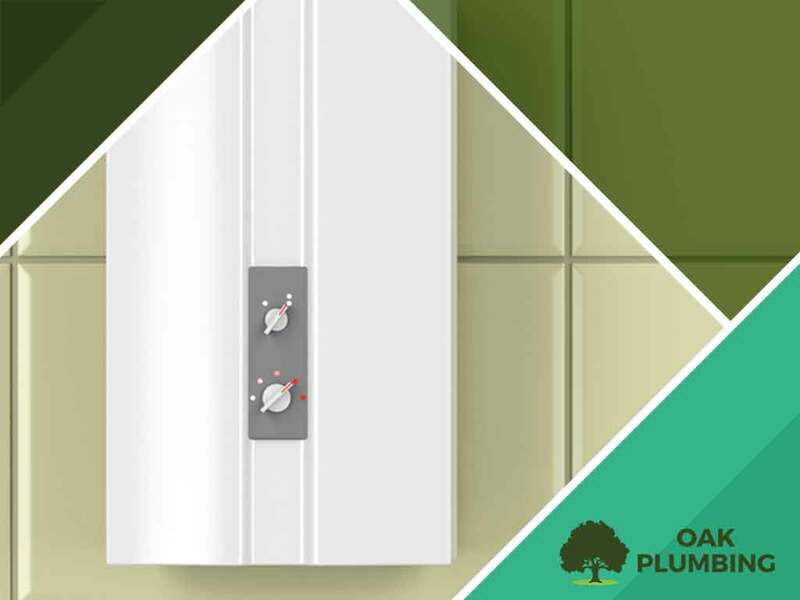 One of the main advantages of a tankless water heater over a traditional one is that water is heated on the spot, which means you’ll never run out of hot water. But in some instances, such as if you were to hop into the shower after someone else just finished using it, you might get the cold water sandwich: six to seven seconds of cold water. The thing is, the cold water sandwich isn’t really a problem; it’s just how the tankless water heater works. If you use the shower right after another person just finished with it, you get the left-over water from the previous shower. Since the heater turned off when the water was shut off, there will be a six- to seven-second lag in time before the water gets heated again. While a tankless heater has a higher capacity than a traditional one, it can still struggle or become overloaded if too many people shower at the same time in your home. If you frequently encounter this problem, it might be worth it to consider installing a second heater. Just like pipes, tankless heaters can suffer from the build-up of magnesium and calcium. As such, it’s recommended that you flush the heater once a year. Newer models can alert you of mineral build-up in the heater. If your model doesn’t have this feature and you don’t have time to keep an eye on the build-up yourself, it’s better to have a contractor perform periodic maintenance on it. Oak Plumbing, a plumbing inspection company, offers heater maintenance services. A flame failure message means there’s not enough gas coming into the heater, either due to a low supply in the tank or issues with gas pressure. If it’s the latter, it might be due to valve issues or something more serious like a gas leak. Just to be on the safe side, call a gas leak repair company ASAP. You can trust a Diamond Certified contractor like Oak Plumbing to install a tankless water heater without any problems. Our certification is a guarantee you’ll only get the best service. You can reach Oak Plumbing by calling us at (707) 200-7594 or filling out this form. Oak Plumbing serves clients in Benicia and Vacaville, CA, as well as parts of Sacramento.